Returning for its 22nd year, BRIDE Dubai 2019, the Middle East’s premier wedding and lifestyle event, is finally opening its doors to the most discerning women and brides-to-be this week from February 6 to 9 in Saeed Halls 2 and 3 at Dubai World Trade Centre. Catch Amato Luxe, Ritu Kumar, Atelier Zuhra and Apple Wang fashion shows plus Ria Berry Choreography live on the Main Stage whilst seated in the Magical Secret Garden. Meet the social media style icons and Instagram influencers Noha Nabil and Dana Al Tuwarish amongst others. Choose from an array of incredible cakes by the region’s top artistic bakers. Shop the onsite deals from 150 diverse brands including oud and abayas. Select your special occasion precious stones and more from the exquisite BRIDE Jewellery Pavilion. Pick out your affordable luxe fashion pieces from our selection of cutting edge GCC designers. Get pampered, have a coffee, catch up with friends – immerse yourself into our bridal fashion world. BRIDE Dubai 2019 announced its participation with the Ministry of Community Development (MOCD) through a special stand that will display the products of the people of determination “Qeladah”, “Acrylic”, “Tasneem Chocolates” and “Janna Dates”. The Ministry’s participation comes as part of the national policy to empower the people of determination which was declared by His Highness Sheikh Mohammed Bin Rashid Al Maktoum, Vice President, UAE Prime Minister and Ruler of Dubai. In a statement about the participation of the people of determination in BRIDE Dubai 2019, Wafa Hamad Bin Sulaiman, Director of Welfare & Rehabilitation Department for People of Determination at the Ministry of Community Development (MOCD), said: “Our participation highlights the creativity and innovation as well as designs of the people of determination. Supporting these shows is a pride for all of us as we are all keen to display the creative ideas of the people of determination and unique designs of jewelry and sweets which reflect their ability for participation, solid will and great achievements. “The people of determination stand in BRIDE Dubai 2019 also include unique pieces of jewelry that were done by emirati people of determination girls named “Qeladah” one of the projects that is characterized by artistic products made of currency paper clips which can be formed with fascinating and charming touches inspired by the people of determination. The products are all made by mental disability students to include bracelets, necklaces, brooches and cufflinks, crafted using red, green, blue and RGB stones, as well as gold-plated silver and silver-plated rhodium”, Wafa elaborated. Limited Premium Tickets are still available for just AED 225 online (AED 250 on the door). Standard Ticket Entry are AED 25 online (AED 30 on the door). Tickets are available on 800tickets.com and part of the proceeds will be donated to the ‘People of Determination’ project, so make a difference; book today! 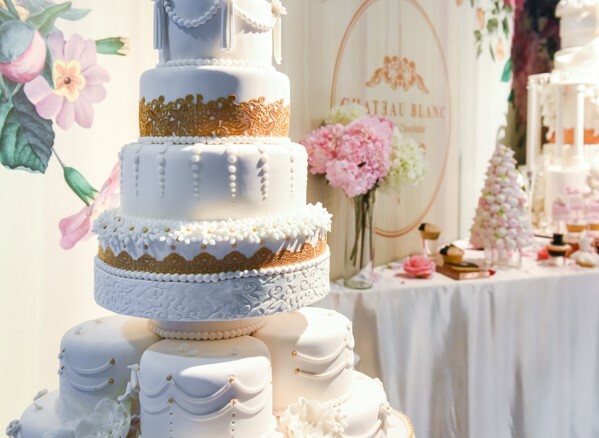 Get ready to enter the wonderful world of BRIDE Dubai 2019 from February 6th to 9th. Doors open from 3:30 pm to 10:30 pm.